360 Immersive has continued to focus on marketing related outreach campaigns such as the Visit Boise app they just published for the Boise Convention and Visitors bureau and will continue to work on projects in this area. They have also found a sweet spot for their business (in working in workforce readiness, workplace safety and transportation safety.) Late last year, they launched a motorcycle safety app, Be Crash Free to help reduce injuries and fatalities. They’re excited about this app because typically people who get a motorcycle license don’t necessarily go back and get additional training. Through the app they’re able to show a number of different scenarios using live 360 video so that people feel first person perspective of the experience being taught. They’ve partnered with a local company that has a national platform in which they’ll include the app in their marketing efforts. 360 Immersive is passionate about reducing injuries and fatalities and feel this app is a great step in that direction with motorcycle safety. 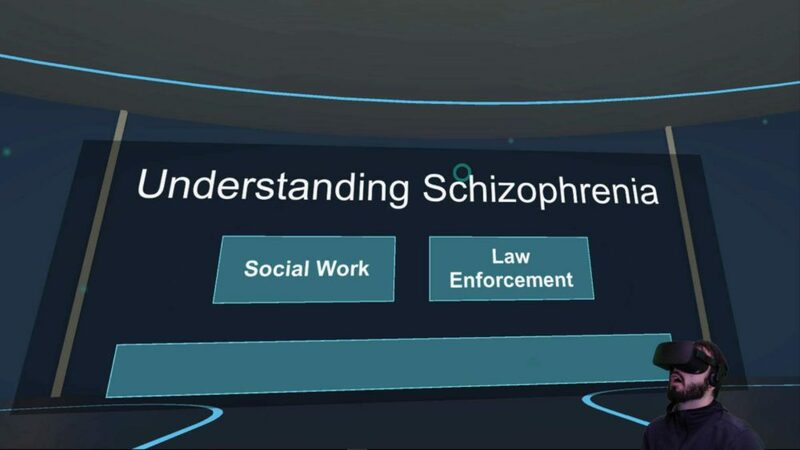 This month they launched Mental Health VR an app in which users are put in the shoes of someone who suffers from schizophrenia. They partnered with the Idaho Health and Welfare department and the hope is that they’ll be able to give law enforcement, first responders, health care workers and others perspective from the viewpoint of someone with schizophrenia to better aide in interactions. If you haven’t tried any of 360 Immersive's apps you can find them all here. They now have eleven different Virtual Reality-based apps with a wide range of subject matters. Both Lastra and Cleverdon are founding IVRC members and we’re lucky to have them as part of the community! 360 Immersive is a full service VR content creation agency that is passionate about enhancing the learning experience. 360immersive has developed, tested, and established best practices that illustrate how to integrate VR technology into various styles of learning environments. They understand the challenges that training professionals are faced with as it relates to extending learning beyond the classroom, integration of on-the-job and in-house development programs, and breaking the old paradigms of “death by PowerPoint” and online training. They provide accelerated curriculums for tactics, techniques, and procedures that can prepare personnel for assignments in weeks instead of years while simultaneously saving organization’s money and providing personnel with the specific skills they need to succeed. Please reach out to them via email at [email protected], by phone at 888-843-9580, or social media with any questions you might have.